Will the internet replace real estate agents? 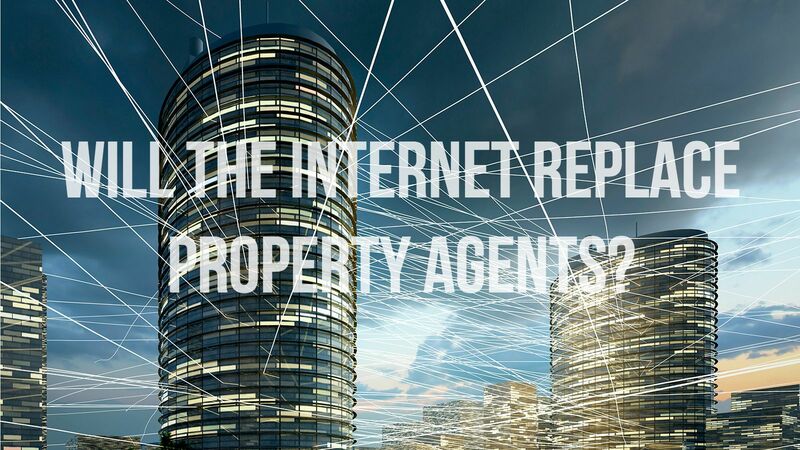 Question: Will the internet replace real estate agents? Who needs an agent to tell you what homes are on the market when we have propertyguru.com and iproperty.com to provide a near-comprehensive search of all available properties? Why ask an agent what the market conditions are like when you have websites that gives you an accurate home-value rating and full comparative market analysis for FREE? Selling your home? Why not run a Facebook ad campaign targeting people engaged or married between the ages of 25 and 35 in your area, create a Google AdWords pay-per-click campaign for the keywords “[neighborhood name] homes for sale”, “[neighborhood name] properties”, and create a short video and upload it on YouTube, etc. This is 2015 and the rules of the game has changed. Agents who don’t understand how the new rules, and don’t have the skills to offer you great service, will become obsolete. Period. But wait a min… ✋Please take a look at the attached photo of the e-commerce website Snapdeal.com where the Indians are apparently buying from and check out the website. Now ask yourself if the experience is better than talking to a good agent? Are you able to “feel” or “sense” what the property is like? Was there absolute clarity on architectural plans and property details? Do you think you can trust the developer and the e-commerce platform? Ok ok.. honestly the website is crap but say it has become the Amazon.com of real estate. Will you click the “add to cart” button based on other people’s review to place your booking fee? Well… I’ve done all that and a year later, this is my understanding thus far: ‘Don’t even try and disrupt the estate agency business, because real estate transactions tend to be emotional and taxing. You’re not dealing with a refrigerator, a car or some other replaceable item, you’re dealing with someone’s home – a place where the seller’s memories were made and where the buyer wishes to make new ones. It’s a highly personal transaction and expectations are high for all parties involved. Even if it is an investment property, the potential for doubt, insecurity, second-guessing, mistrust, defensiveness, cold feet, confusion, paranoia is all there. Therefore, conflict is extremely high and don’t expect your solicitors to help you with it. So you definitely need a fair, transparent, value for money person on your side – and that’s where agents come in. Here, I’m specifically addressing the role of the agents as a shepherd, conductor, taskmaster, educator, diplomat, manager of expectations, and buffer between parties whose interests are highly likely to be incompatible. The advent of the internet will not, in my opinion, diminish the true value of the real estate agent in this regard. But I expect to see the end of “part-time” agents, agents unwilling to upgrade, and people entering the profession with an easy, get-rich-quick mentality. In summary, I foresee an expansion, not a contraction, of the role of the real estate agent in the future. I firmly believe e-commerce websites or listing portals can never replace agents, any more than newspaper classifieds and professional magazines did. After all, real estate is a people’s business.